We’re all living vicariously through Instagram for updates on this year’s Met Gala with its enigmatic theme, “Manus X Machina.” While evoking the grand balls of Renaissance’s past-where costumes were just a slight upgrade of dress- corsets were a daily thing at Versailles-it’s a big deal today when one is transformed from lounging sweatpants to a glamorous debutante in just mere hours. Simon Procter, Valentino Eight Haute Couture 2010, Paris, C-print, Rosenbaum Contemporary Gallery. Click to inquire. 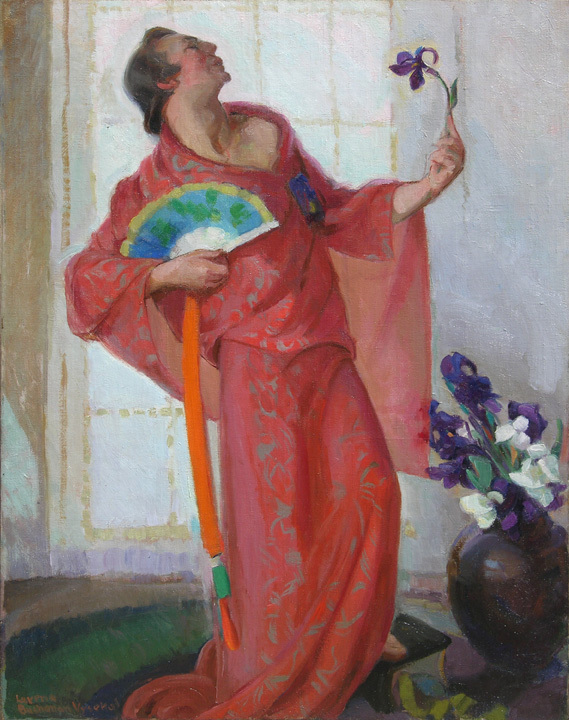 Luvena Vysekal, The Aesthete, Oil on canvas, George Stern Fine Arts. Click to inquire. 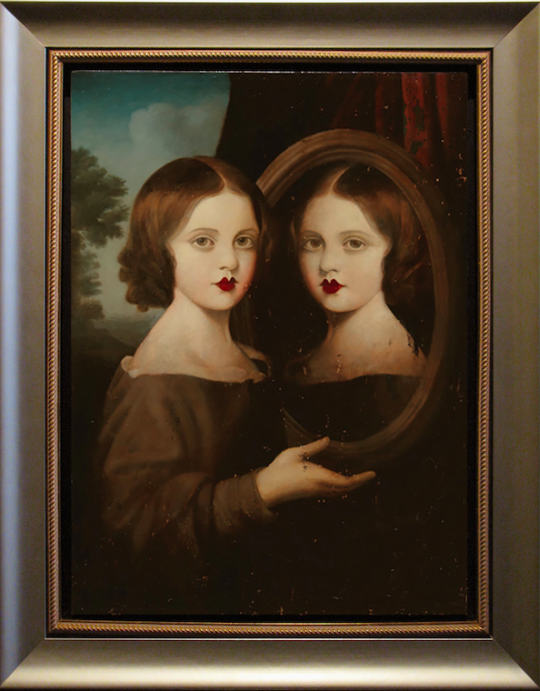 Stephen Mackey, "The Looking Glass,” Oil on panel, Arcadia Contemporary. Click to inquire. 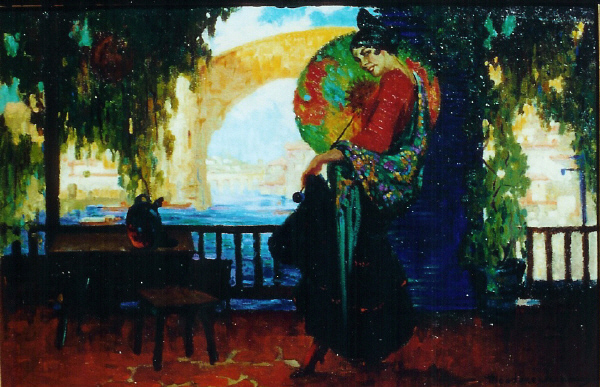 Oscar Theodore Jackman, "The Promenade" - Seville, Spain, c. 1920, Oil on canvas, Trotter Galleries. Click to inquire. Though we have major FOMO, the elaborate costumes on these canvases' elegant figures best represents the merging of fanfare and art currently experienced at the Gala. Embracing the avant-garde, the Met Gala, with its edgy themes, allows for once-in-a-lifetime outfits and couture. 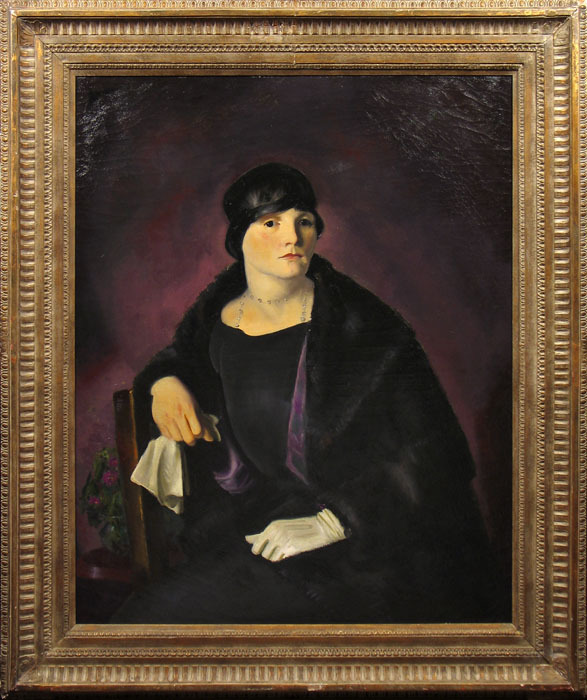 George Bellows, Portrait of Mrs. Walter Richter, Oil on canvas, Godel & Co. Fine Art. Click to inquire. 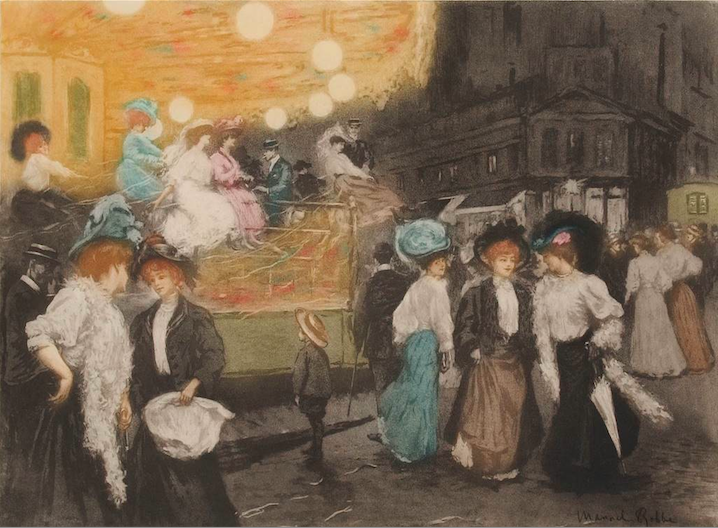 Manuel Robbe, Le Menége (The Merry-Go-Round), Color aquatint, Galerie Michael. Click to inquire. Whether depicting the original costume queens or artful photographs of the runway, let these fashionably dressed muses inspire the imaginary outfit you would wear to attend the Gala. In fact, what would you wear? 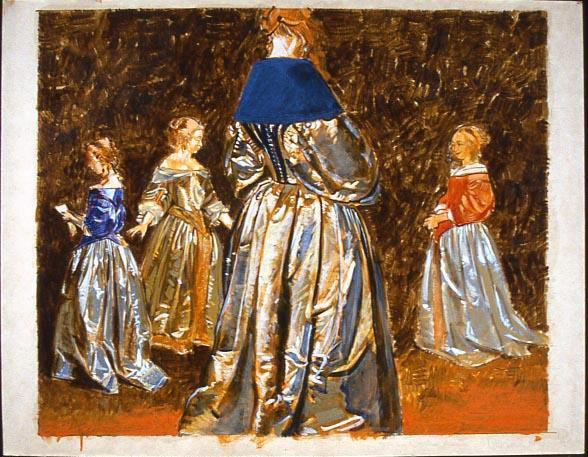 George Deem, Terboch Silver Dresses, 1979, Mixed media on paper, Eckert Fine Art Gallery + Art Consulting. Click to inquire. 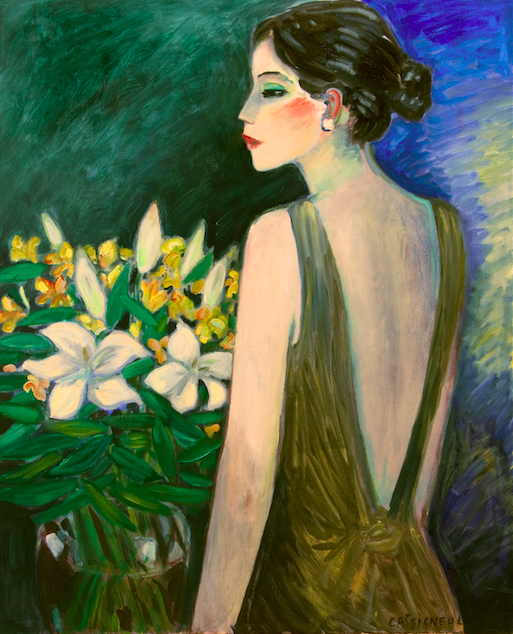 Jean-Pierre Cassigneul, Sacha au Bouquet, 2013, Oil on canvas, Guarisco Gallery. Click to inquire.